Choose from 22 hotels and guest houses in Down. Shown below a just a selection of the hotels available. To search within an area please use the menu on the right. 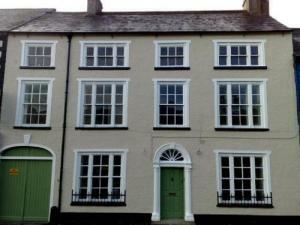 In the centre of the historic village of Moira, this restored and modernised Georgian-style guest house offers superbly appointed, en suite rooms. 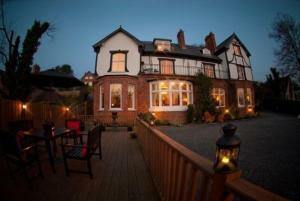 Moira Guest House is located just off junction 9 of the M1 and minutes away from main business routes. Situated on the Main Street, the guest house is surrounded by superb restaurants, village shops, boutiques and amenities. With a peaceful location in mature grounds, this bed and breakfast is located between Belfast and Dublin, just off the A1, close to a selection of shops, restaurants and bars. 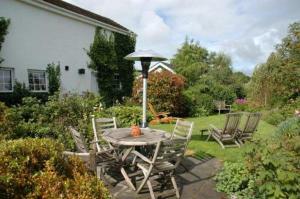 Lisnacurran Country House B&B has a quiet, relaxing location, set in attractive, tranquil grounds. 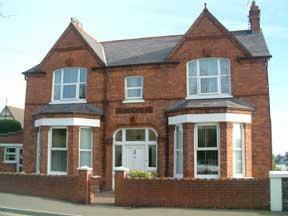 Nevertheless, the bed and breakfast has a convenient location with great access to the region's major roads. 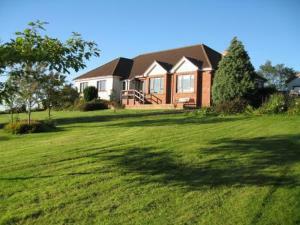 The house is just off the A1 dual carriageway and just a few minutes from the main M1 motorway. There is a comfortable guest lounge with a TV, video, a DVD player and a stereo system. A library of DVDs, videos, books, board games and magazines is available for guests' use. There is also a PC and fax machine available. 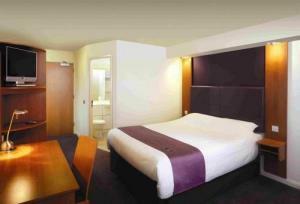 All of the rooms feature modern comforts and facilities. Each room has an en suite bathroom, wireless broadband internet access and a plasma flat-screen TV with Freeview digital channels. Ivy Cottage is 10 minutes from the M1 motorway and has 3 luxury guest bedrooms, a cosy guest lounge, modern kitchen and relaxing breakfast room. Quality full Irish or vegetarian breakfasts are served each morning (continental options also available). Evening meals are available 7 days a week (must be requested in advance). 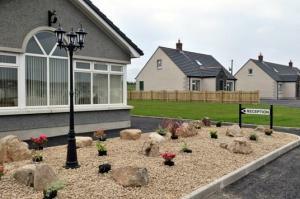 Ivy Cottage is just off the A49 road, linking Ballynahinch to Lisburn. The Georgian village of Hillsborough is 7 miles (11 km) away, with bistro pubs and restaurants, fashion boutiques and public forest park, with lake. 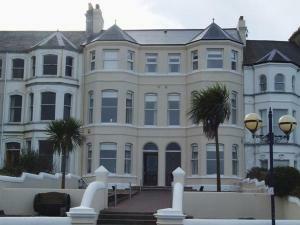 Offering luxury accommodation in a fantastic location, within easy walking distance of town amenities and coastal path, this is the only AA 5-star rated bed and breakfast accommodation in Bangor. The award winning Hebron House Bed & Breakfast (Best Guest House 2007 at the Bangor Business Awards) offers you luxury bed and breakfast accommodation in a magnificent location, close to Bangor harbour. Your friendly host will welcome you and ensure that you have a comfortable stay in one of the 3 well equipped rooms. Room facilities include a DVD player and there is a well stocked DVD library for you to choose from - just ask your host. For your convenience free wireless internet access is available in the entire building, and there is also free on-site parking for your car. With Ballyholme beach just a short drive away, this perfectly located residence is ideal whatever your reason for visiting Bangor. Near the historic village of Hillsborough and close to both the A1 and M1, this recently renovated house is set on an elevated site, with ? acre of mature gardens. 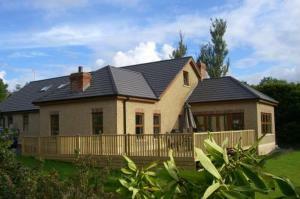 Anahilt Guest Lodge boasts panoramic views of the Dromara Hills, Lisburn and Belfast. The accommodation has been uncompromisingly updated to include 6 luxury en suite guest rooms; a bright yet cosy guest lounge; modern kitchen and relaxing breakfast room. We look forward to making your stay with us a truly special one.